One of the side stories in WOODLAWN is the work of the school board member who is appalled that the white players and the African-American players were coming together in the name of Christ. He figured if he could kick Christ out, then the true brotherhood that was occurring first at Woodlawn High and then Banks High would disappear. Believers bowing humbly before Christ somehow seems threatening to people. 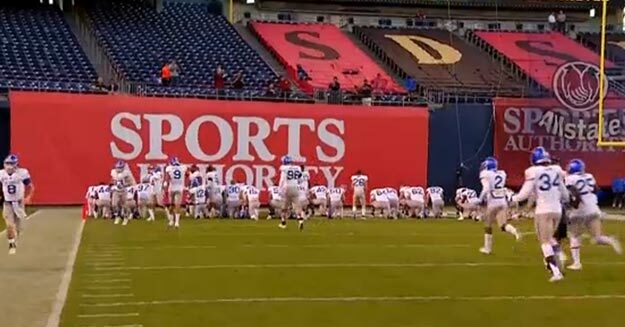 Take, for example, the people trying to bar the football team at the Air Force Academy from praying on the football field. While it sounds like a plot to a different movie, it’s the reality these days. Thankfully, the Air Force Academy agreed with this interpretation.